Have a dead battery? Misfiring starter or alternator? For all of your electrical repair and maintenance needs, come to Ramsower's Automotive LLC in Tucson, AZ 85716. We service your vehicle with care, providing a high level of workmanship you can trust. Ramsower's Automotive LLC carries a variety of lights that provide 180 degrees of uninterrupted illumination. 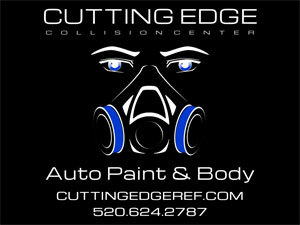 For all of your vehicle's lighting needs please contact us at 520-326-7224. A starter converts electrical energy into mechanical energy. The alternator charges your vehicle's battery. Looking for a starter or alternator for your vehicle? Let us help you! We enjoy helping our customers with all of their vehicle needs. For all your questions call us at 520-326-7224. Ramsower's Automotive LLC has qualified service professionals waiting to help you! We can replace faulty wiring and switches on your vehicle. For all of your electrical needs don't hesitate to contact us or stop by our shop.